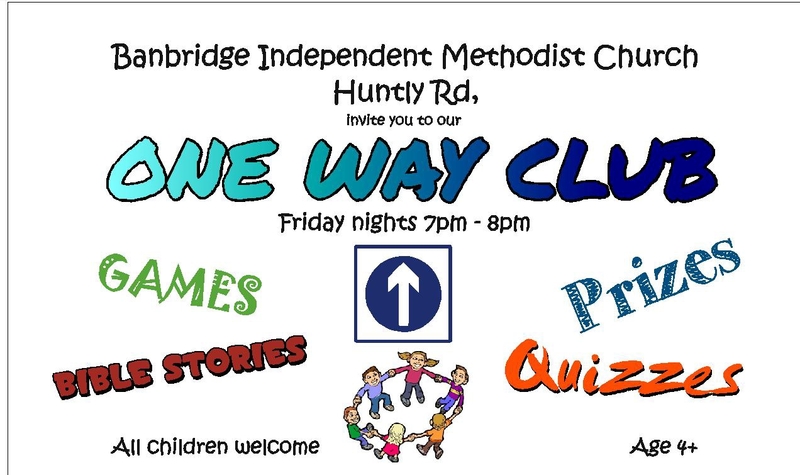 The One Way Club is aimed at primary school children. It is held every Friday night (September-Easter) from 7pm – 8pm. The children will hear Bible lessons, learn memory verses and sing choruses as well as take part in fun quizzes and have some light refreshments. Should you wish to avail of our free minibus transport service or have any questions please feel free to contact us.